I love the neon trend! I have read somewhere that one of the trends of this summer is dark colors and occasionally you can add a pop of color. It seems that this outfit fit that describtion quite well. I have no idea why this is a summer trend (probably a mistake of the magazine or the person being interviewed) but this outfit remind me more of the fall. I would never associate summer with darker colors. 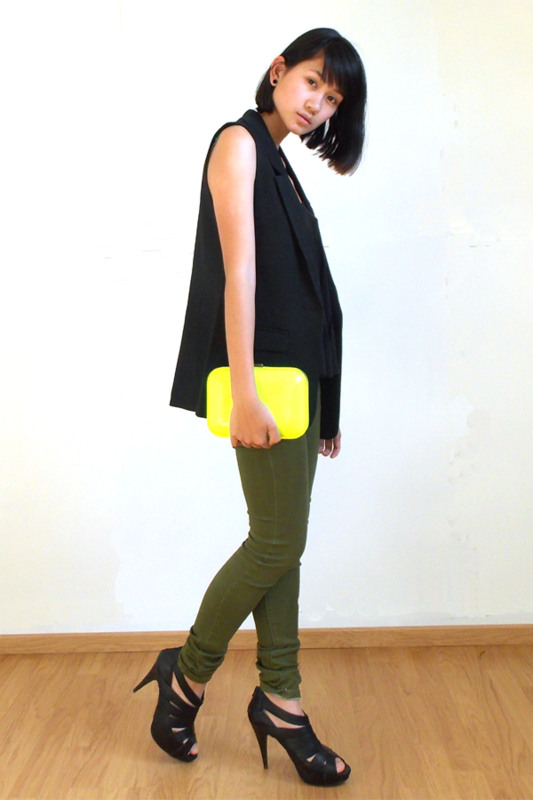 Anywho, the neon clutch was bought during sales. I didn’t need a clutch (but then again do I need any of the things I buy? I’m such a shopaholic)) but I couldn’t resist a neon clutch! 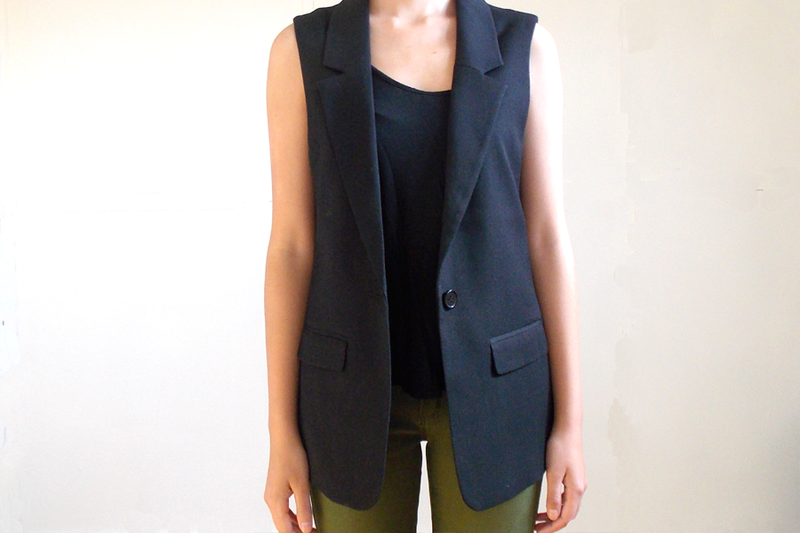 Lately I’ve been obsessing about sleeveless leather jackets, but since I haven’t found the perfect one, I’ve settled with this sleeveless version of a blazer. Simple yet chique. Previous Post Previous post: Pantheone. You’re right those trends are more for fall. Anyways I’d love the style and the neon purse it’s so cute. Thanks for visitng my blog!! Now I’m following you via BlogLovin!! Love the clutch! 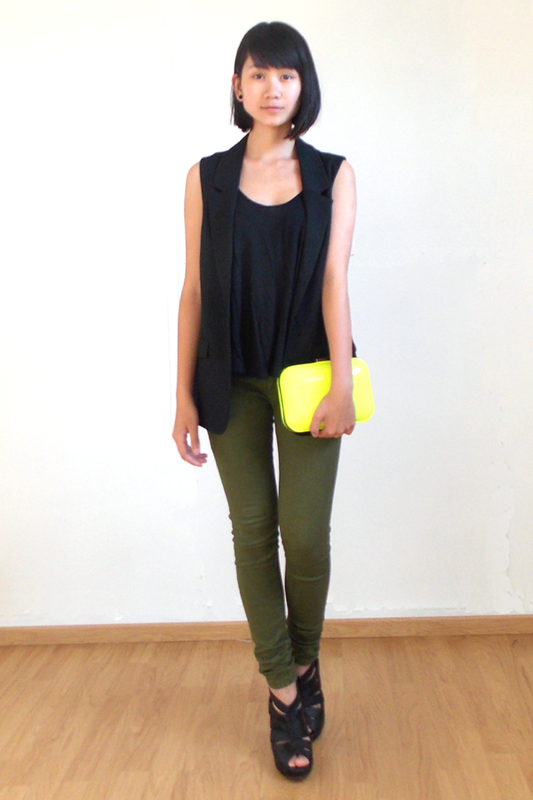 I’m absolutely obsessed with neon yellow this season… I don’t now why! Maybe it’s because it can make any look brighter! Hele leuke outfit! Die blazer ziet er erg mooi uit! Hm, probably my fave look so far. Sophisticated and sleek, but fashionable. 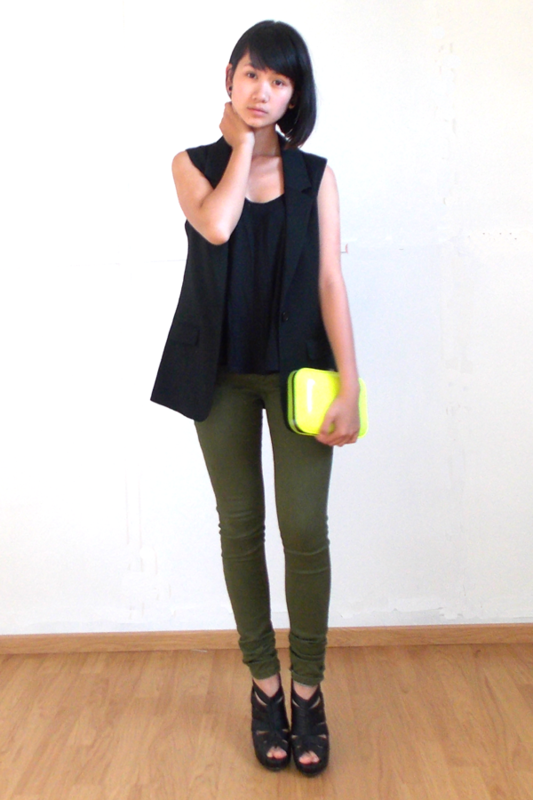 I love this outfit it suits you so well and the clutch is amazing!